AP-500AC is a dual band 802.11ac wireless access point that delivers speeds of up to 1.3 Gbps targeted to support high-bandwidth activities such as video conferencing and cloud storage syncing. With speeds up to 4 times faster than 802.11n, it offers increased productivity for high density applications. 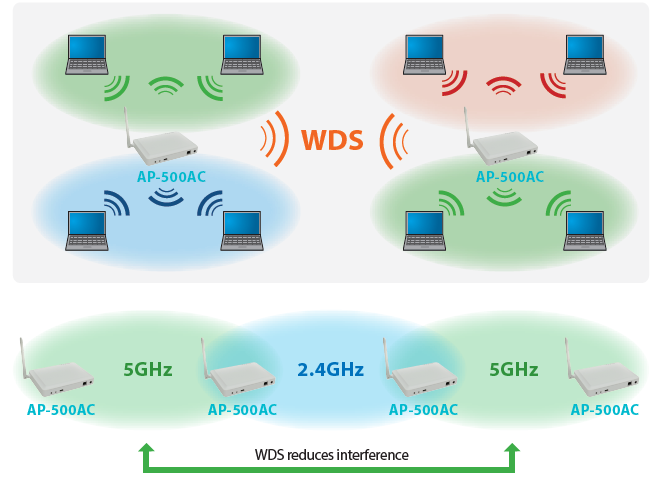 AP-500AC can operate on both the 5GHz and 2.4GHz frequency bands simultaneously. This offers customers the flexibility to use both their 802.11ac and legacy devices simultaneously without any degradation in performance. LAN equipment. Moreover, in response to the integrated device management software AMC Manager ™, to enable the labor-saving and cost reduction of the operational management of the wireless LAN equipment. It provides fast communication interference less 5GHz band. It is used in conjunction with the 802.11ac-enabled wireless LAN terminal, you can greatly improve operational efficiency. 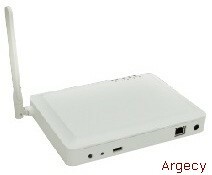 Supports IEEE 802.1X authentication function, an advanced security features security features that are commonly used. It is possible to prevent unauthorized access of unauthorized devices by combining with the Radius server. expanded using multiple access points without the need for a wired backbone to link them, as is traditionally required. 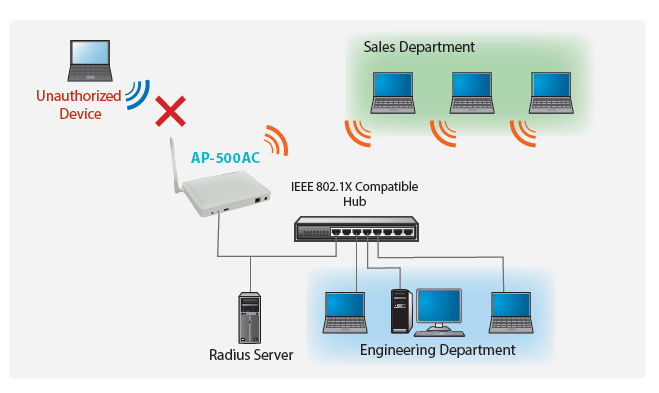 AP-500AC supports multiple SSID profiles that allows a single AP to virtually function as 4 AP’s. 5GHz and 2.4 GHz bands both support 2 SSID’s each. This can allow clients to connect with the AP-500AC with different security settings and profiles. Network events generated by the AP are saved in an internal memory. It helps customers understand how the network and the AP-500AC behaves over time which can provide administrators valuable troubleshooting information. Improves operational efficiencies.